Are you looking for a quick, safe and minimally invasive skin treatment to instantly rejuvenate your skin? Learn all the facts about the customized Botox treatments at our Kelowna clinic. Botox is one of the most popular anti-aging cosmetic treatments in the world, used for preventing or minimizing facial lines between the eyebrows and on the forehead. It provides dramatic effects, similar to those of a facelift, without the high costs and extensive recovery period. At our Kelowna clinic, we use the advanced VISIA Digital Analysis System to determine your unique skin profile and tailor your Botox treatment plan to suit your specific anti-aging requirements. While Botox is one of the most popular cosmetic treatments in the world, it is not without controversy. There are still many myths regarding its safety, function, and who the best candidates are. If you are considering a Botox anti-aging treatment, here are some of the myths you should NEVER believe. It was once believed that the best candidates for a Botox treatment were patients in their 40s and 50s. However, this skin treatment is now being used more frequently by a younger age group (20s and 30s) seeking preventative cosmetic treatments. need for fewer skin treatments in the future. discouragement of facial movement that leads to the development of fine lines. 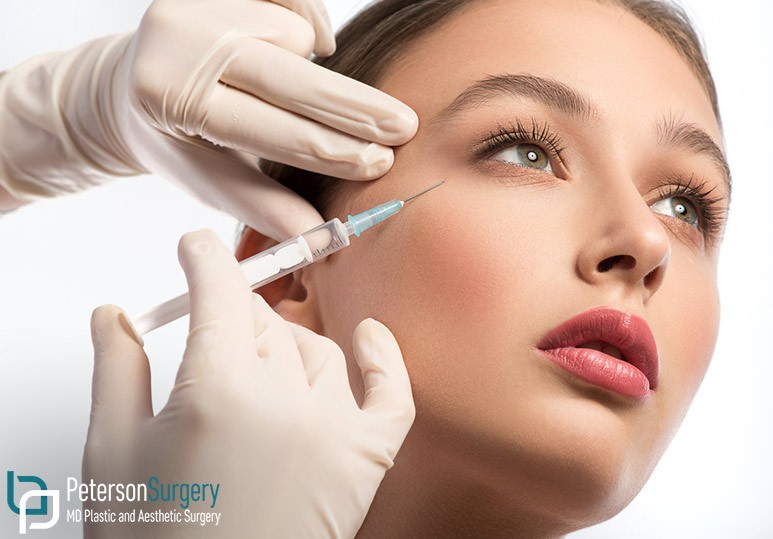 Botox was approved by the FDA for cosmetic purposes in 2002 and since then, millions of men and women have used the anti-aging skin treatment safely and effectively. HOWEVER, Botox is safest in the hands of a qualified plastic surgeon and at manufacturer-recommended doses. ALWAYS find a plastic surgeon or skin care specialist with the required experience and knowledge on how to administer Botox to ensure your safety and best results. Contrary to popular opinion, wrinkles aren’t the only thing that Botox can fix! There are many different aspects of this skin treatment, both medical & cosmetic, that aids patients in different ways. However, before opting for a Botox treatment for any of these conditions, it is very important to book a consultation with your doctor or plastic surgeon to ensure that this is the best treatment method for you. Botox works by relaxing wrinkle-producing facial muscles at the point of injection. These typically occur around deep lines and wrinkles, such as crow’s feet, forehead furrows, and smile lines. Botox DOES NOT affect any other muscles involved in overall facial movement. With this skin treatment, you’ll be able to display a wide range of expressions and enjoy a naturally enhanced, youthful appearance. REMEMBER: The quality of your results largely depends on the skill of your plastic surgeon or esthetician, which is just another reason why it’s so important to do your research and find an experienced professional. To find out more about the costs and treatment of our customized Botox treatments, or other non-surgical anti aging procedures including Juvederm and Restylane, contact our Kelowna clinic at 250-868-9099 or fill in our online contact form.